Hello Everyone! Yes it is time for another Digi Monday at Paper Playtime! This monday's challenge is to create something the means summer to you. This image is just adorable and I think can be used in so many ways. Jodie is incredible artist! I just love her peeker images and of course Deacon! What is your favorite Bugaboo image? When I saw this image I just had to make a tag with splashes everywhere! 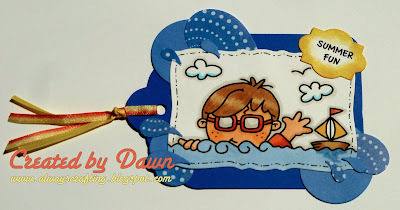 I used the Lifestyle craft splashes dies to achieve the splash affect. 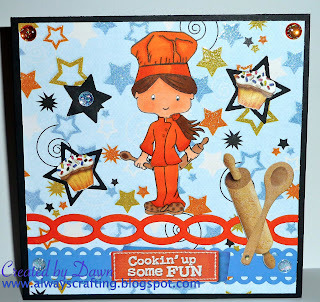 So now that you have seen what I have made it is time for you to head over to Paper Playtime and show us what you made! Take care and I hope your summer is going well! You're used the cutest images here-and I love the way you've coloured them in so brightly! Thanks for joining us at Opus Gluei! Super fun and that cute image, thanks for playing along with us at CCCB! So adorable. Love the bright colors you used. What a great bunch of creations - just fab!!! I just love that little tag! The blue is gorgeous! We are so happy that you joined us at Paper Sundaes this week! Good luck! Such darling work!! Thanks so much for playing along at CCCB! those are some great summer cards...I think the tag is my favorite...mmm...maybe the first one is??? they are all great...thanks for playing along with the Beat the Heat Challenge at the Opus Gluei this week! Your cards are soooo adorable. Thanks so much for playing along with us at CCCB! 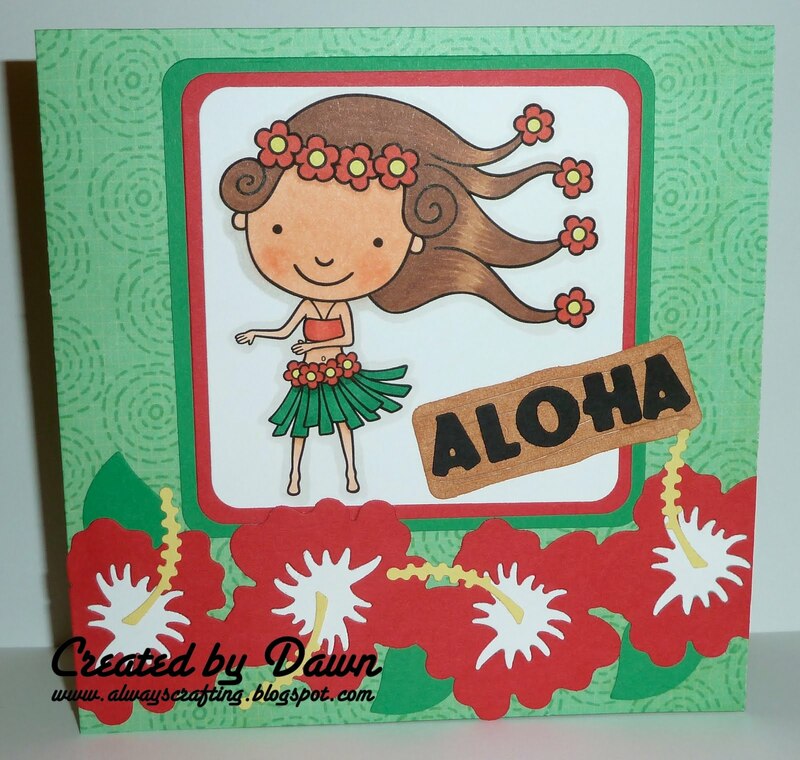 Love love love your boy swimming tag and the imaginitive way your done the sea and Hula Lily is fab with the flower hair! I love your projects. They are all so different and so good. OH! And I love your blog background... I'm going to have to find it and use it too. hehehehehe Hugs!! Wow! Talk about great looking cards! 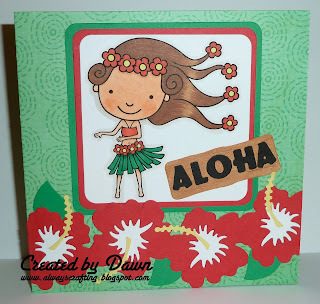 I love Hula Lily, that is so cute! Your tag is also just wonderful, that little guy is adorable and the embellishments make it perfect! Thank you for playing along with us at Opus Gluei, I hope that we lure you back for more chllenges with us! Adorable creations, Dawn!! Thank you so much for playing along with us at The Pink Elephant! !